Four Ahwazi Arabs recorded a secret statement appealing for international intervention before they were executed two weeks ago. The video, which was smuggled out of prison, shows the political prisoners addressing UN Special Rapporteur Ahmad Shaheed directly to protest their innocence and condemn the unfair trial that found them guilty of "enmity with God" and "sowing corruption on the earth". Brothers Taha Heidarian (28), Abbas Heidarian (25), Abdul-Rahman Heidarian (23) and Ali Naami Sharifi were accused of murdering a policeman and being members of an armed opposition group, charges they denied. 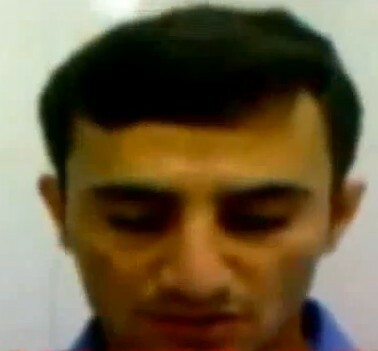 In his statement, Ali Sharifi said he spent three months in a prison run by the Ministry of Intelligence after he was arrested in April 2011. He described the use of physical and psychological torture against him and others arrested with him in order to force them to agreeing a confession. The prosecutor of Branch 18 of the Revolutionary Court, Mr Ahmadi, was present during the torture sessions and threatened the men with death. Sharifi said the men were not informed of when they were sentenced to death by revolutionary court judge Ghazi Abdul Rahman Abbas. Sharifi pointed to the long-standing suffering of the Ahwazi Arab people, which motivated him to take a peaceful stand against the Iranian regime. He said: "Thousands of families are living in poverty in the vicinity of Iran's largest steel plants, which employ people mostly from outside Ahwaz. The area has high unemployment and rampant drug abuse as well as poor health and social amenities, but suffer as a result of pollution from the oil and gas industries. Agriculture has been destroyed in Ahwaz due to river diversion projects and sugar cane plantations. "I have felt the hardships of my people all my life. Like other Arabs, I took part in the April 15 2005 intifada to commemorate the 80th anniversary of the Iranian occupation of Ahwaz and to protest against the secret document published by the Office of Vice President Mohammad Ali Abtahi. This document outlined the ways in which the numbers of Arabs in the region would be reduced, by transferring them to other areas. "Our people are peaceful and opposed to oppression and terrorism. We are young people who wanted to hold protests and peacefully demand the rights of the Ahwazi Arab nation ... We all want to achieve political, economic, social and cultural rights of the Arab people of Ahwaz. "We appeal to all human rights organisations and governments around the world, especially His Excellency Ahmed Shaheed, to stop the executions and other unjust treatments." The Ahwazi Arab Solidarity Network (AASN) has submitted a motion in the British Parliament condemning the persecution of Ahwazi Arabs and calling for UN Special Rapporteur Ahmed Shaheed to visit the Al-Ahwaz region. It has been endorsed by a broad range of Members of Parliament. The executions came after a vote in the European Parliament condemning the treatment of Ahwazi Arabs and calling on the Iranian regime to drop the use of the death penalty against Ahwazi political prisoners. The video statement can be viewed on the Al-Arabiya website.